When packing for my baby its important I pack in everything we could possibly need for mummy & baby, especially if we decide to be out for the whole day. Before i leave the house i find myself checking and double checking that we have everything we need but i guarantee when we are out there will always be that one little thing i will say ‘oh i wish i had of brought that’. 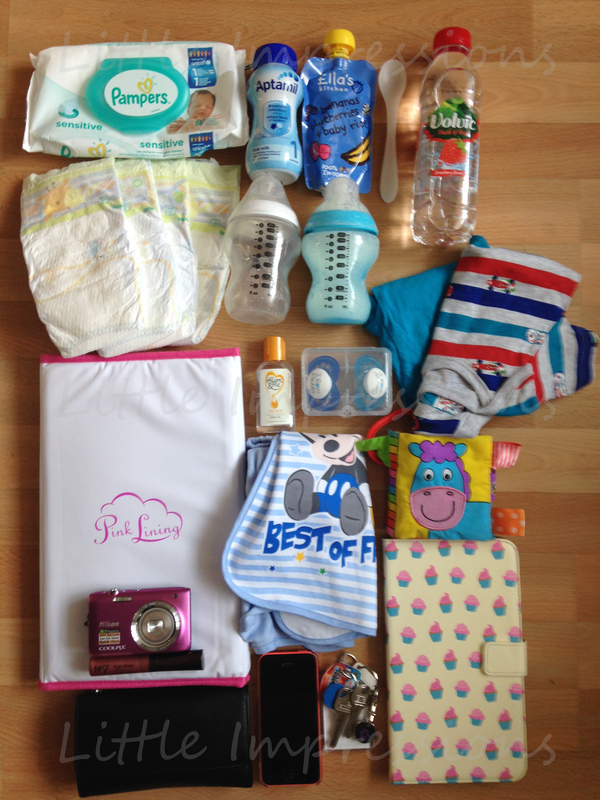 So here is a list off the essentials i cant leave home without along with some little luxury’s for mummy & baby. So Mummy Whats In My Bag? Nappys – I always bring about 4-5 nappys depends how long i plan to be out for and you never know how many you might need to go through. Wipes – These are great not just for nappy changing time but for cleaning mucky hands,faces and much more. Changing Mat – I love having my fold up changing mat with me as i feel its more hygienic and comfortable for my little one. 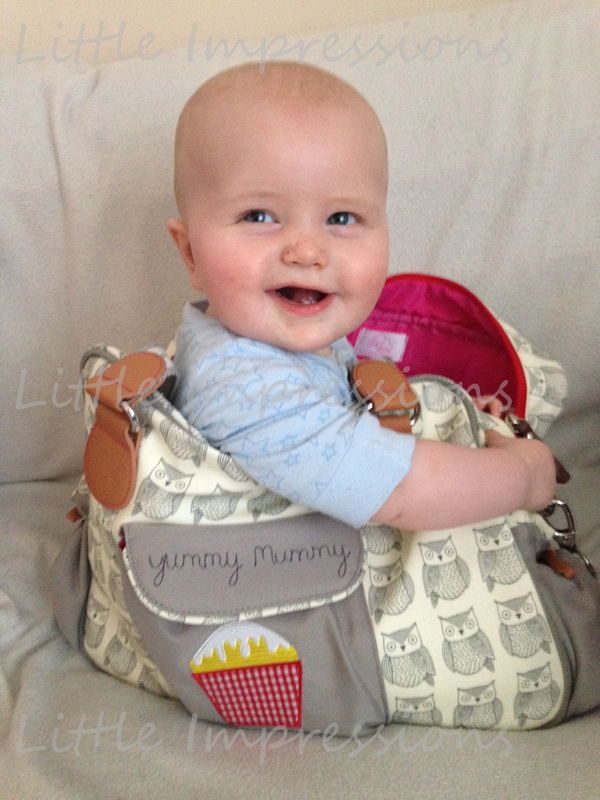 Bottles and Formula – I normally bring a pre made hot bottle and an empty one along with a carton of ready made formula again depends how long we are out for.And as my bag has two insulated bottle holders they fit well. Solid Feed and a Spoon – Very important to keep baby happy with a full tummy. Change of clothes – Incase them clothes get dirty, especially extra body suits incase of unexpected nappy explosions. 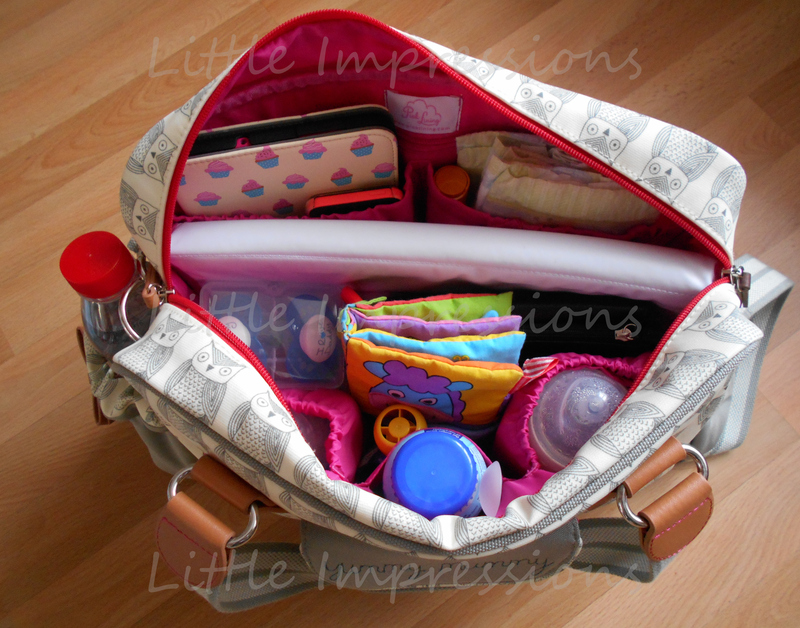 My Purse – Need this for mummys coffee stop, oh and for everything else too. Phone – Lets face it not many leave without there phone now a days and you never know when you might need it. Camera – As long as i can remember to bring it, i like to bring my camera to capture any special moments while we are out although my phone also does this. Bottle of water – To keep mummy hydrated for long buggy walks. My Hudl – For Blogging and tweeting on the go. So there you have it, my list of all the things in my bag, which all surprisingly fit in my gorgeous Wise Owl bag by Pink Lining and it still closes over. I have been totally in love with my Pink Lining Bag ever since i discovered the brand 3-4 months ago and its designed so fabulously well for everything i could possibly need.